The LED retrofit kit from LEDMyplace is a “one size fits all” for your outdoor pole/arm-mounted lighting fixtures or any outdoor luminaire installed on roadways or highways. 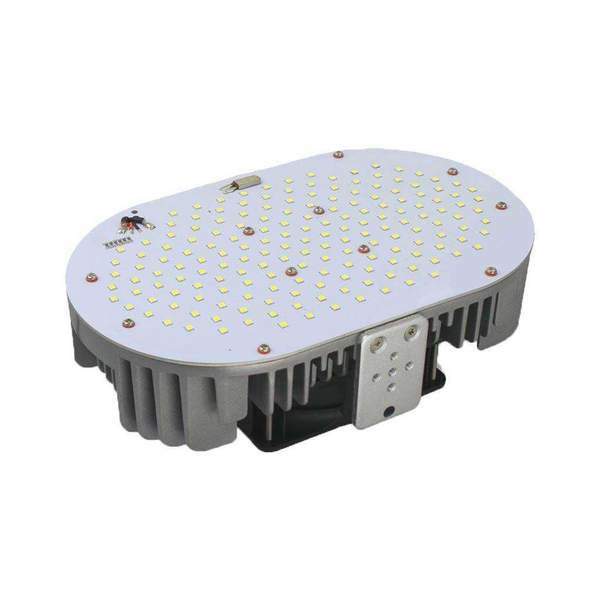 It provides Universal solution to any existing outdoor metal-halide lighting fixture. 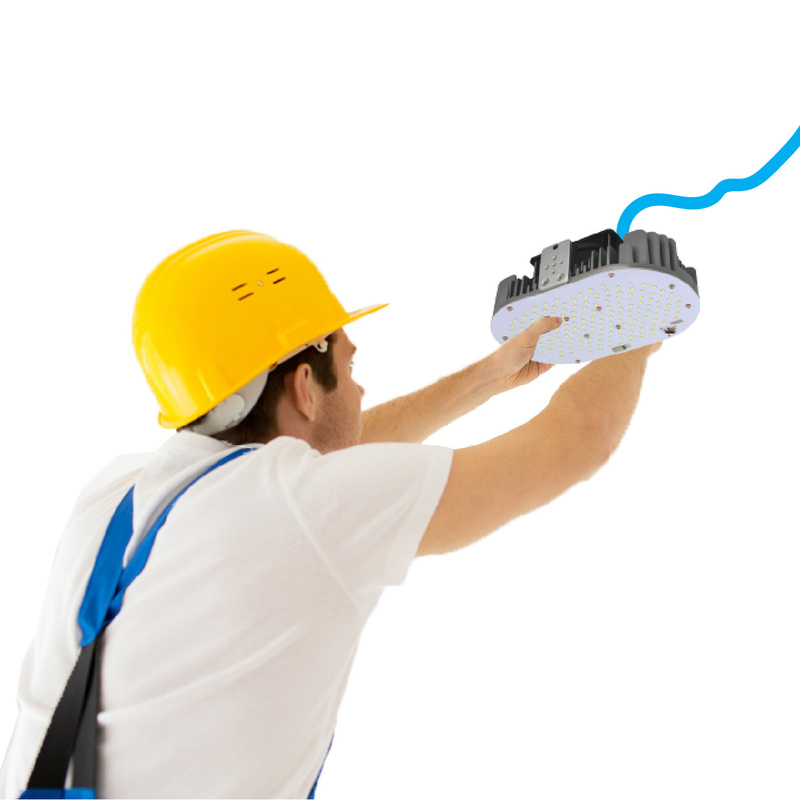 Retrofitting any lamp/fixture is far better alternative to replacing the entire fixture, thus helping you to get rid of any unnecessary replacement cost. With an IP65 rating, this kit turns out to be a perfect outdoor lighting kit. This product having the DLC approval qualifies you for maximum rebates & incentives. 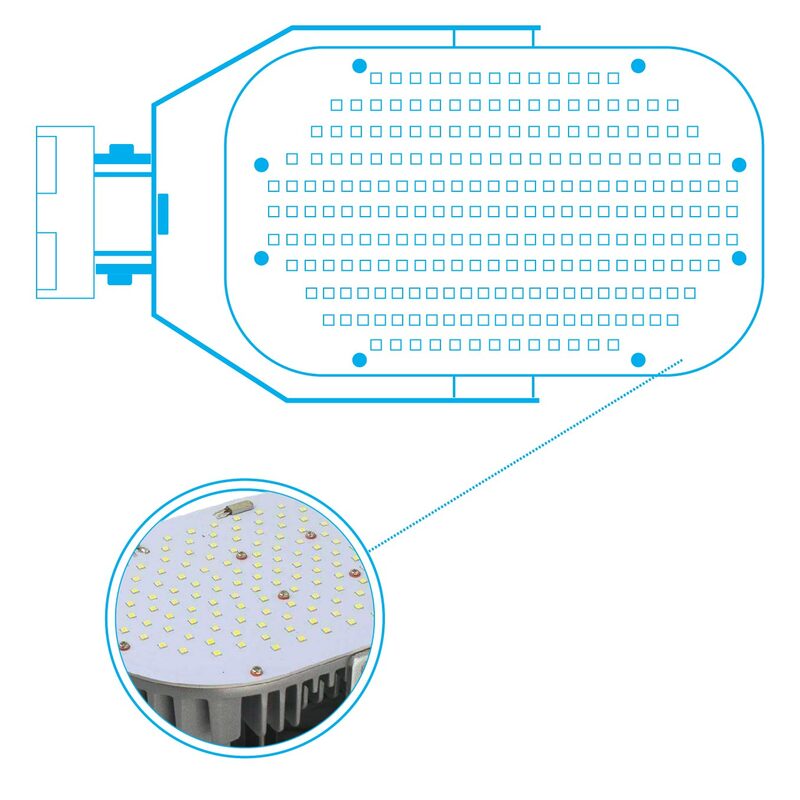 Excellent Energy-Savings: The 150W LED retrofit kit can easily replace a 400W metal-halide lighting fixture, thus saving 250 watts of power consumption. High Luminous Efficacy: This retrofit kit having a luminous efficacy of 130 provides you with enough bright light. The 150W can deliver 20,000 lumens. High CRI: Having a CRI of more than 80, the objects and spaces are enabled to reflect true colors up to 80% precision through this kit. 5700K Color Temperature: The kit having the color temperature of 5700K provides you with a daywhite light color glow -- highly suitable for any outdoor application so as to be used for security lighting, general area/site/street/parking lot lighting. IP65 Rating: This rating makes our outdoor retrofit kit stay protected as dust-tight and against water spray through a nozzle. A Safe and Uniform Lighting: The light beam emitted through the retrofit kit is completely free of any UV or IR radiation, thus providing you with a hazard-free lighting. 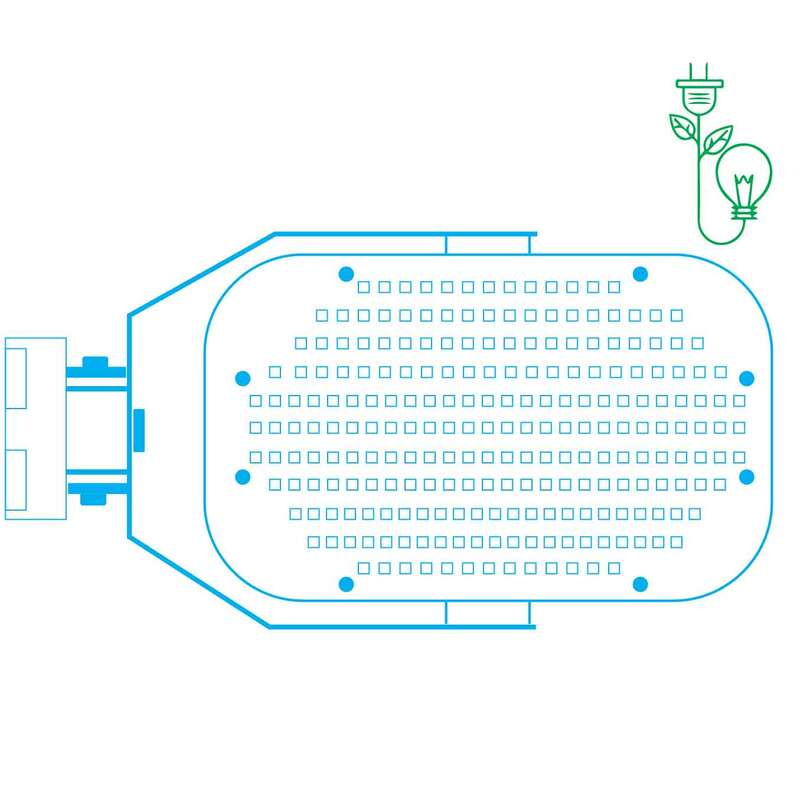 An Eco-Friendly Lighting: The light beam through the retrofit kit is mercury-free, lead-free and free from any toxic waste products thus being conducive to a safe and healthy environment. 30 Days Return Policy/Warranty: In case you find our retrofit kit having any manufacturing defect, we would be happy to accept the return within 30 days of your purchase. You have 5 years of warranty from the manufacturer’s end. With the help of few screws and arm mounting brackets, you can mount the LED retrofit kit on the pole. By all means, the installation comes quick and easy. 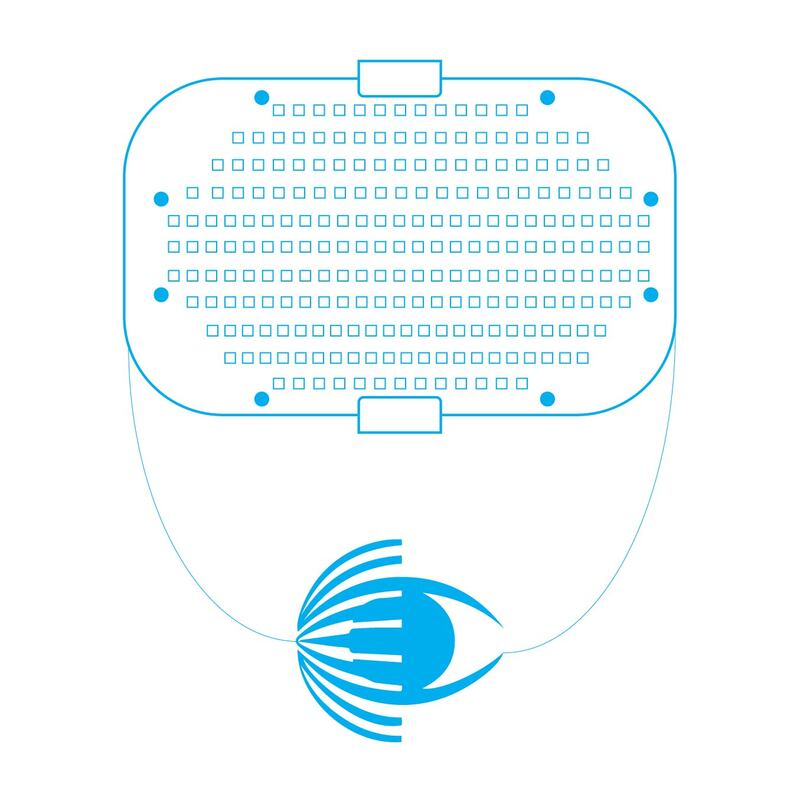 Our LED chips are premium grade LED chips having been manufactured by Epistar Corp. -- the largest manufacturer of LEDs. 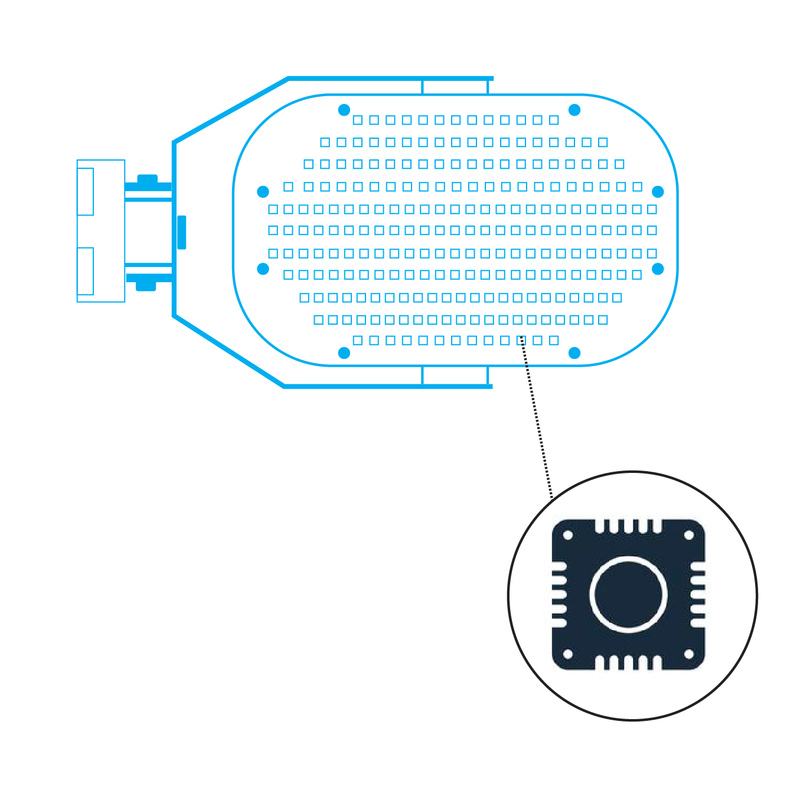 Through such a premium LED chip, our products have acquired high operational efficiency. 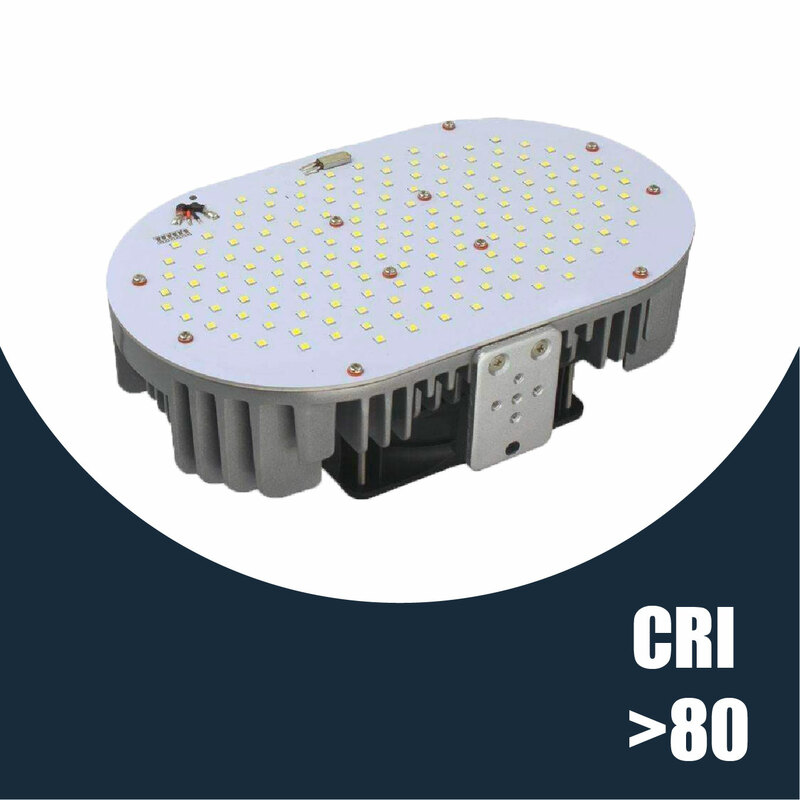 The CRI being 80 for the LED retrofit kit enables objects and surfaces to reflect their true colors up to 80% precision instead of making them look unauthentic and artificial. The LED retrofit kit brings to you atleast 75% savings in energy by retrofitting the existing metal-halide fixtures. 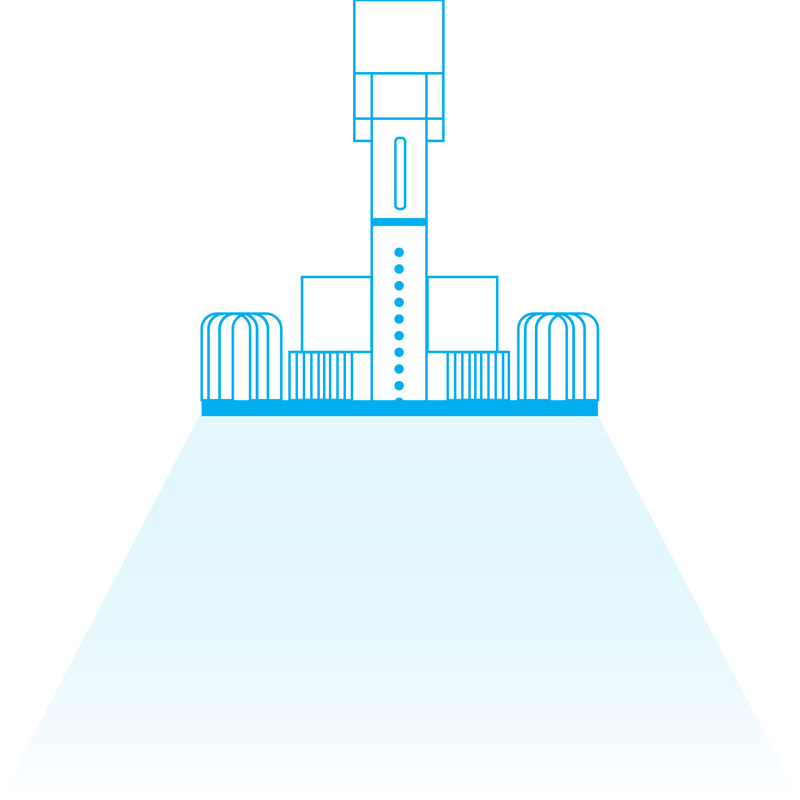 180 degree beam angle is what you achieve by retrofitting the existing fixtures by our LED retrofit kits. 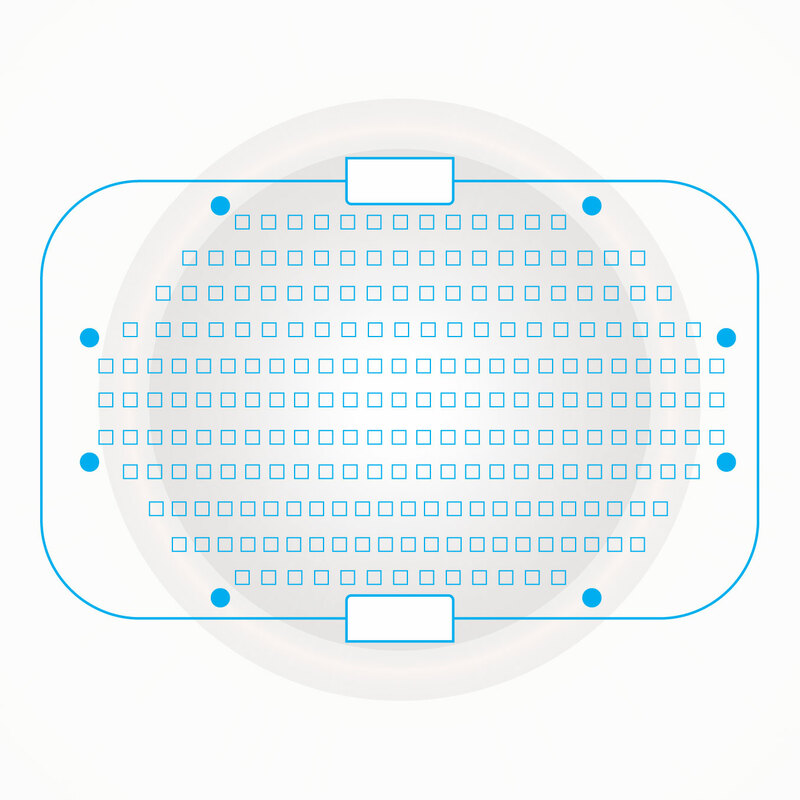 This wide beam angle allows you to have general area/site lighting without accentuating any particular spot or area. The LED retrofit kit being free of any UV or IR radiation helps us to have a safe lighting by not enabling ay health hazard. The LED retrofit kit is housed in a rust-free and corrosion-free rugged and die-cast aluminium for ensuring maximum durability and resistance to external tampering. This housing also repels dirt, dust and any bugs/insects. 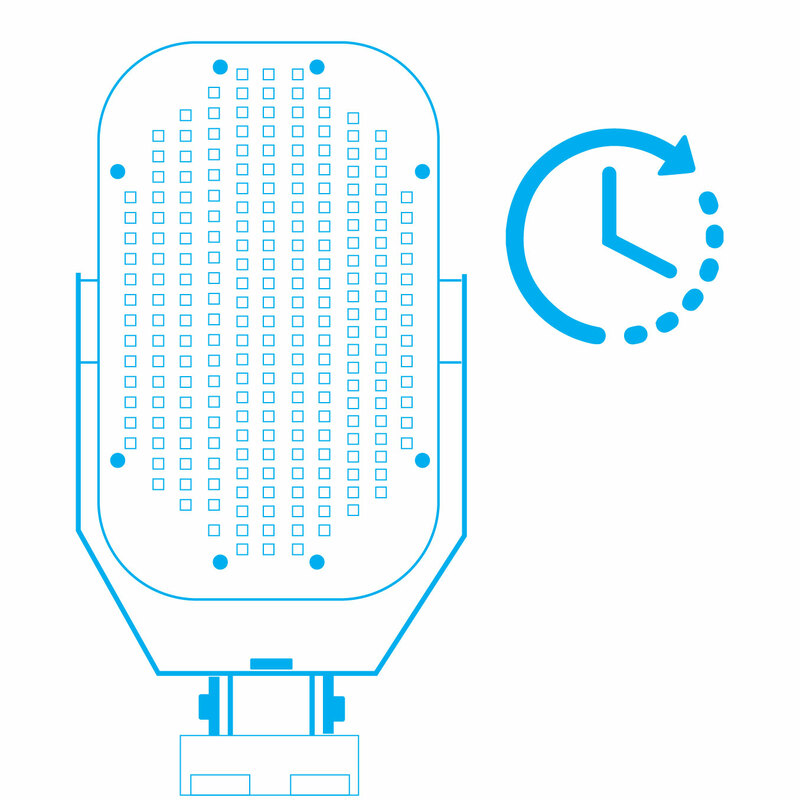 The lifespan of 50,000 hours or 5-6 years is what you get from LED retrofit kit -- a pretty good service life in comparison to any metal-halide lighting fixture. This long service life is attained, even when you keep the lights ON for 24 hours. The service life may get extended for many more years, if you use the lights only for 12-15 hours. Most traditional lights flickered while also producing a buzzing sound when turned ON. This is fortunately not the case with our LED retrofit kits. They start up instantly without any flickering or buzzing, thus helping you to have a non-disrupted lighting for long hours.